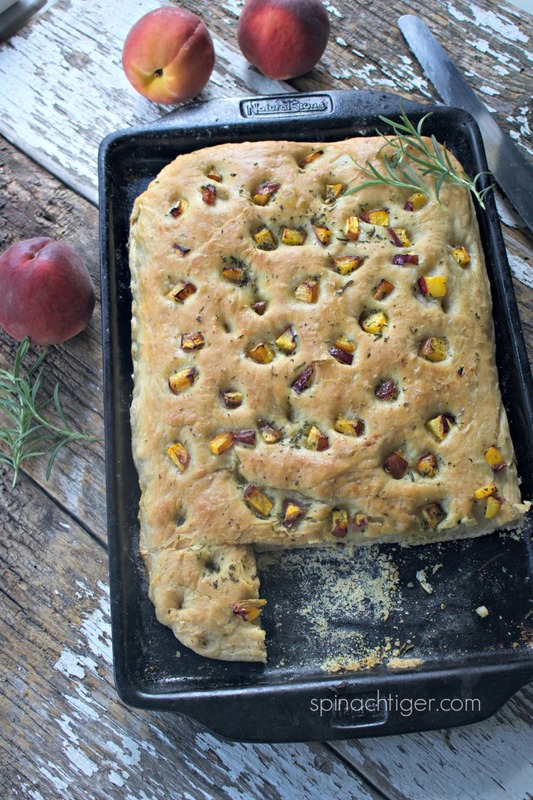 Peach Rosemary Focaccia is summer comfort food at its best. 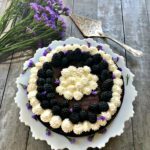 When I saw this on instagram I knew immediately, I was going to make this, as I could almost smell the roasted peaches with rosemary permeating my kitchen. I used my basic focaccia recipe that is adapted from my favorite Italian cookbook, Essentials of Classic Italian Cooking from Marcella Hazan. It’s a perfect focaccia recipe, yielding that pillowy, springy crumb and rising beautifully. This bakes a nice big focaccia, and a large stone baking sheet is perfect, although you can use a regular baking sheet. I found this new stone baking sheet just added to my Amazon shopping guide. 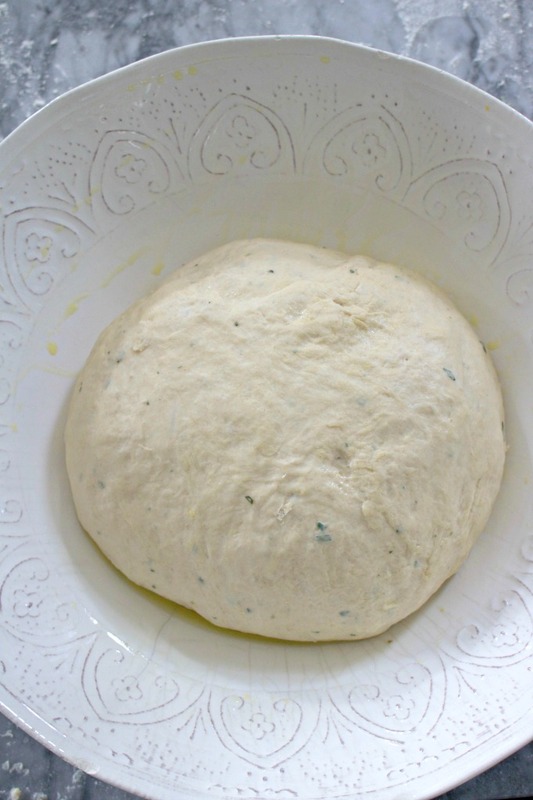 The dough rises very quickly but you will still need a solid four hours before baking. We start with this amount of dough which doubles in about an hour. After two hours, the dough is stretched out on the pan, but not baked for another two hours. I chose to cut the peaches in small pieces to fit into the indentations. This dough was so springy (a good thing) that the indentations kept rising back up. 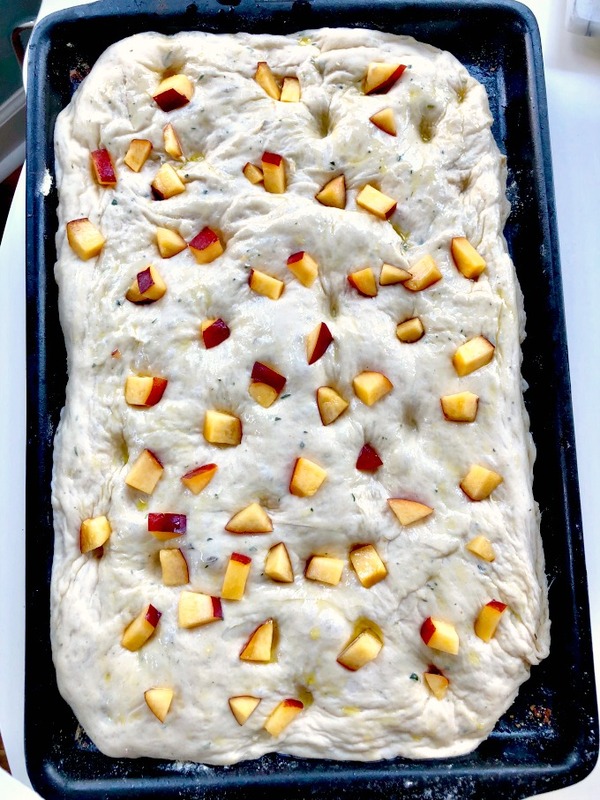 Check out the crumb of this peach rosemary focaccia. It’s springy, bouncy and perfect. 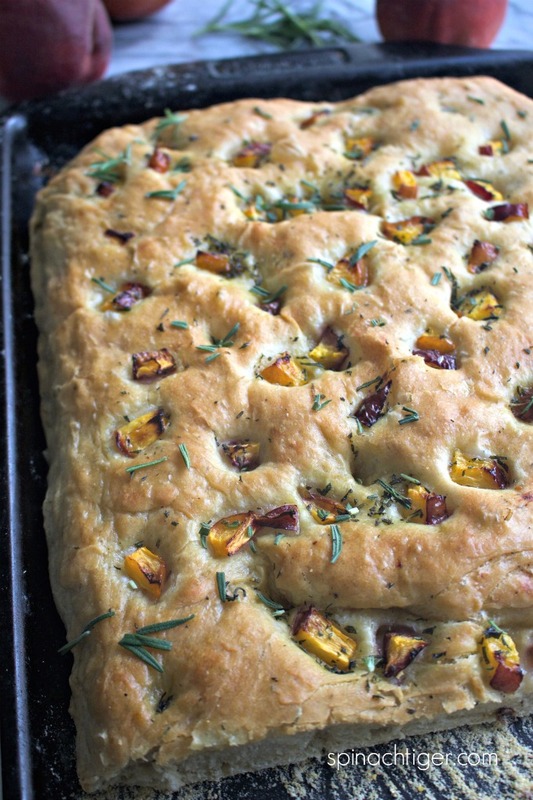 We used the fresh rosemary three times for peach rosemary focaccia. Ryder chopped the rosemary using this mezzaluna (affiliate), a safe way for kids to start chopping. We incorporated some of the fresh rosemary into the flour before making the dough and put some more on during the last 8 minutes of baking. We decided to add a little fresh rosemary once it came out of the oven. You can even further this by adding fresh rosemary to some extra virgin olive oil for dipping. 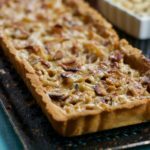 I’m thinking this is one of those dishes you can take to a party or picnic, serve with a charcuterie board or cheese board. 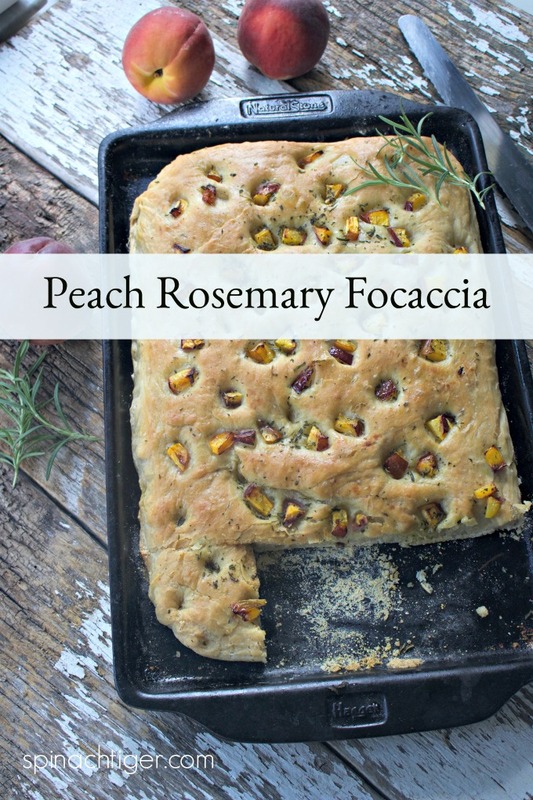 Peach rosemary focaccia would be especially nice with prosciutto. 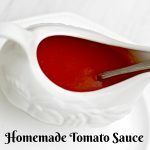 It’s not gluten free, but I do have a gluten free focaccia that you can adapt this recipe to here. It won’t make the same amount, so reduce the peaches and rosemary as necessary. 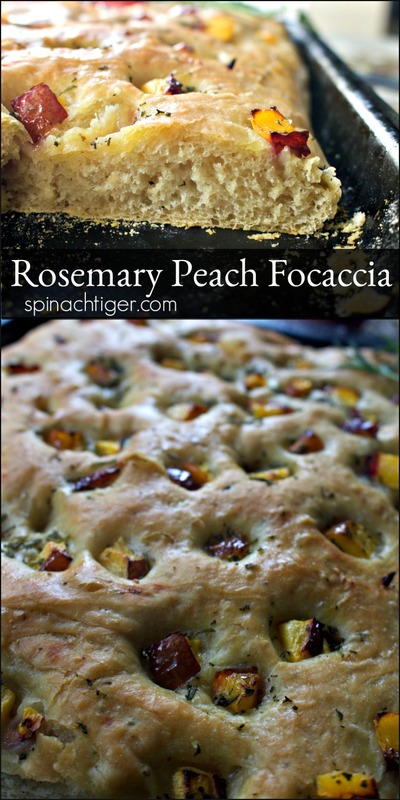 Peach Rosemary Focaccia, springy and so delicious. 2 peaches, cubed, with skin on. Dissolve yeast into ½ cup lukewarm water. (110 degrees F.) Rest 10 minutes. Add salt and 1 tablespoon of flour. Incorporate well. Add 1 cup flour, mix. Add olive oil, half remaining water and half remaining flour. Add remaining water and flour. 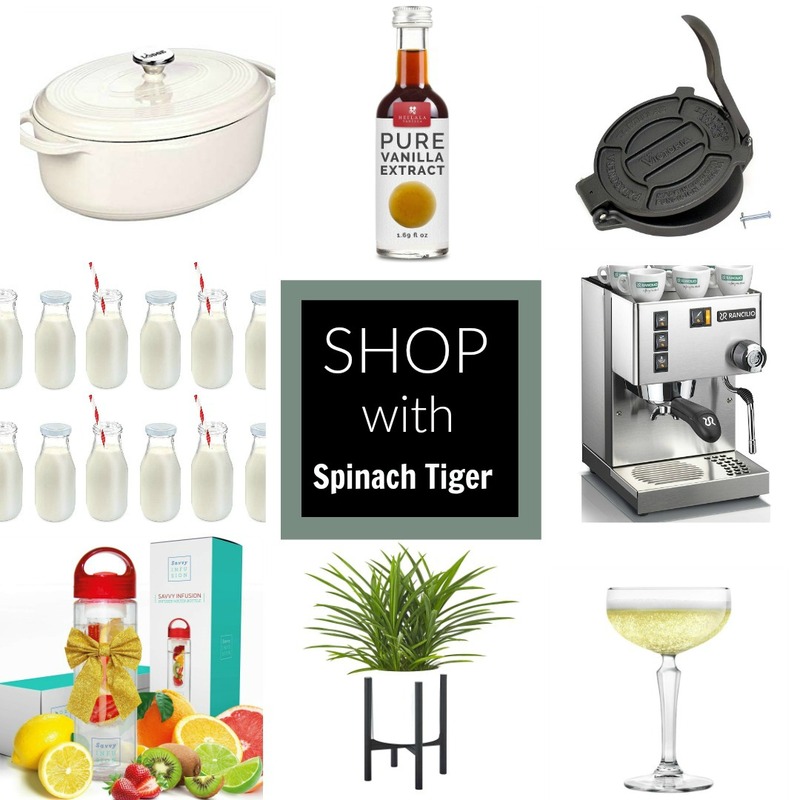 At this point you can put into mixer with dough hook, or food processor. 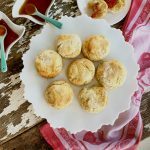 If you knead by hand, slap down on counter several times and knead for 8 minutes or until the dough is very workable and soft. Rest in oiled bowl with covered damp towel for two hours. At end of this rising time, punch down, place on oiled baking sheet, stretch by hand to the edges, trying to keep a uniform thickness, especially in the corners. 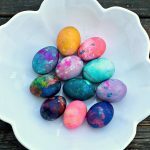 Using a wooden spoon, small ball or finger tip, make indentations. Using pastry brush, carefully brush olive oil water mixture over top. Top with peaches. Put in oven, reduce heat to 400 and bake for 15 minutes. Top with tablespoon finely chopped rosemary and bake for another 7-8 minutes. When you take it out of the oven, the top will be a little crispy. As the focaccia cools, it softens up and will become springy. 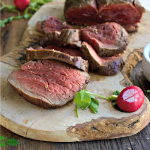 You can now add in some more fresh rosemary if you want and drizzle olive oil or serve with an herbed dipping oil. 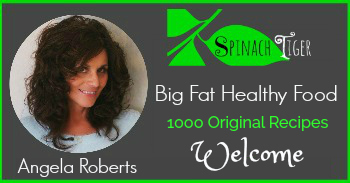 Disclosure: This site contains affiliate links which earn a small commission, but do not affect prices.